The average woman in the United States is a size 14. As a visionary generation, upcoming designers at such a prestigious institution like Parsons or any other fashion design-oriented school should have open doors to any explorable possibilities in the spectrum, that's how legendary ideas are born. Furthermore, as a plus-size designer myself, I articulate that we should have accesible opportunities to design for plus-sized individuals. It has come to my attention that there is currently only one plus-sized mannequin at Parsons, while there are approximately one thousand students focusing on fashion design attending at the moment. It is preposterous that several students can't execute their plus-sized specialties at the school, even more so when the resources aren't readily available to us. In addition, a mannequin costs circa 300-400 $US and isn't economically accessible to everyone within the school. It is in all of our most failthul beliefs that the school should keep its word on housing the designers of tomorrow and adopting progressiveness as their motto; installing more plus-sized mannequins in our classrooms would open a lot of doors to emerging designers who believe in sizes higher than 8. I ask of all of you to please sign this petition in order to spread and encourage body positivity not only in our classrooms, but in all of the design world as well! Thanks to all of you who helped me to convince Parsons to purchase more plus-size mannequins! Your signatures really made a difference. Now, I need your help to fund my plus-size senior thesis, can you pitch in a few dollars? Thank you! As of today we have succeeded the purpose of this petition! 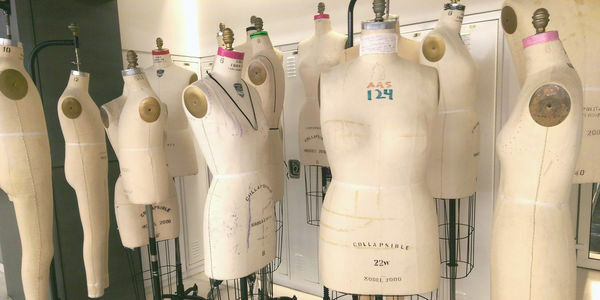 The issue has been resolved and students at parsons are able to use plus sized mannequins to create designs! This was just the first step towards reaching the ultimate goal of a more body positive fashion industry. Without any of you this petition wouldn't be successful. Together we created a positive impact in my university and around the world. Each and every signature matters. Thank you all for your support!! Originally my goal for this petition was 150 signatures and as of today we're close to reaching 2,000. This petition isn't solely about mannequins and making frilly clothes with them, it's about women KNOWING (not feeling) that we are beautiful no matter what size we are. Thank you all for your support! 390 signatures!! You guys doubled my original goal! We can all create a big change. Thank you all for your support.